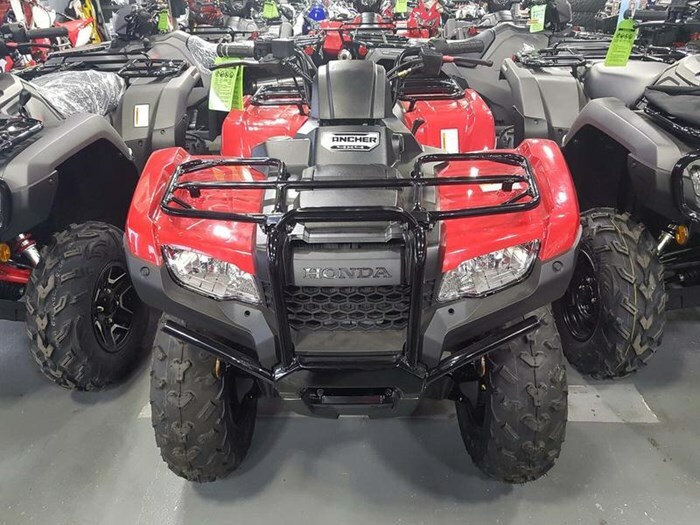 2019 Honda® Rancher 420 Modest size,bold personality Features may include: Engine & Drivetrain Efficient engine Rugged liquid-cooled 420 cc longitudinally mounted engine allows direct driveshaft alignment to both front and rear wheels for maximum drivetrain efficiency. Programmed Fuel Injection (PGM-FI) system improves power delivery and throttle response, and increases fuel efficiency for extended range. 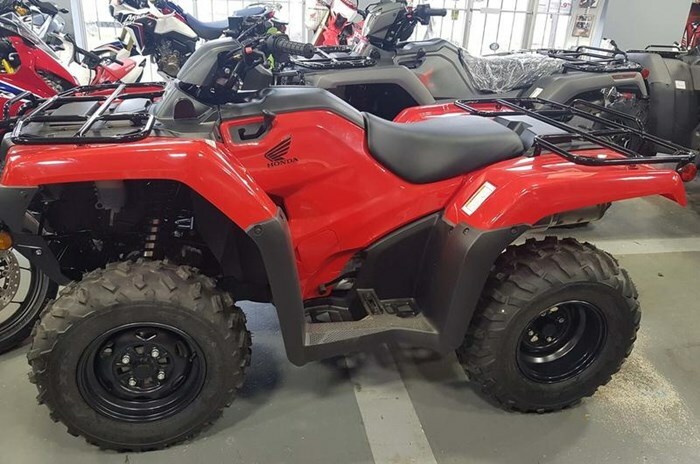 Broad powerband Overhead-valve design provides compact engine dimensions for improved ground clearance while maintaining a broad, easy-to-use powerband. Reduced vibration Rubber-cushion engine mounting and gear-driven counter-balancer reduce vibration. Chassis & Suspension Adjustable suspension Adjustable spring preload featured on all shocks allows suspension tuning to match varying loads and riding conditions. Double-cradle steel frame developed with Computer Aided Engineering features increased stiffness for even more precise handling and a smoother ride. Precise handling Tough, large-diameter 24-inch front and rear tires provide excellent ground clearance of 183 mm (7.2 in.) while maintaining great handling characteristics. Front and rear suspension feature 170 mm (6.7 in.) of travel at both ends for a plush and controlled ride. 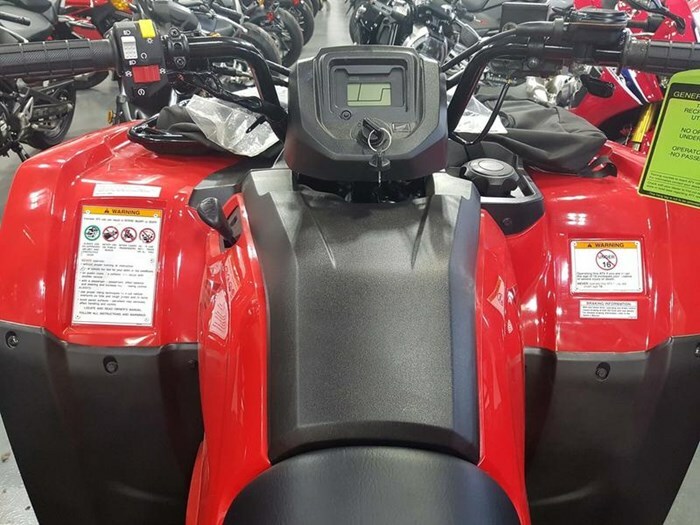 Trail ready Enclosed-axle type swingarm optimizes stiffness for improved toughness and durability, and excellent handling performance. Rubber swingarm pivot bushings provide increased low-speed ride comfort and extra durability. 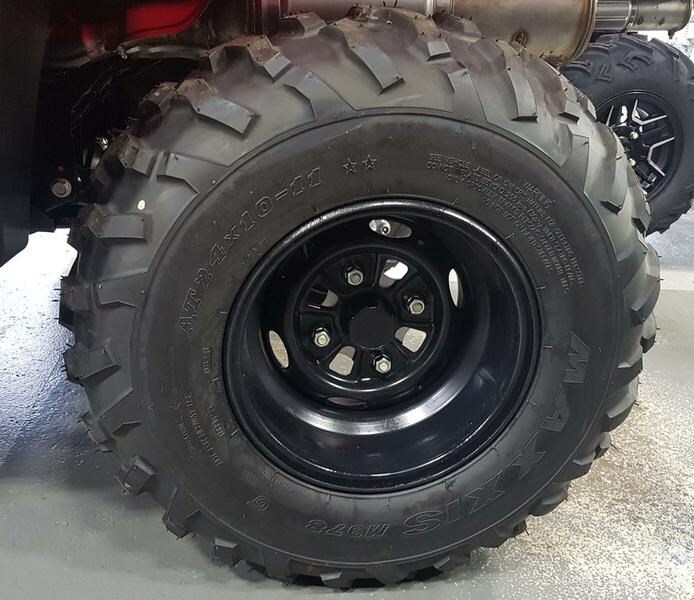 Additional features Rugged design Durable bodywork offers excellent mud and debris protection. 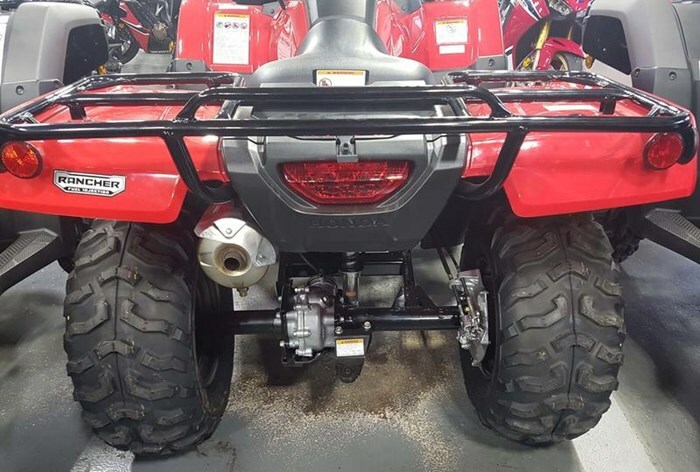 Full-length synthetic lower skidplate with integrated front brush guard provides extra protection against damage from rocks, sticks or other obstacles. Strong visibility Twin-headlight system features powerful 35-watt bulbs for improved light distribution. Easy maintenance One-piece tank/side cover allows easy access for maintenance with no tools required. Sale price does not include freight, PDI, admin fees, license or taxes.